Quick setup for new performance orientated, offline–first React.js applications featuring Redux, hot–reloading, PostCSS, react-router, ServiceWorker, AppCache, FontFaceObserver and Mocha. A library for creating UI components using virtual DOM as an alternative to React. 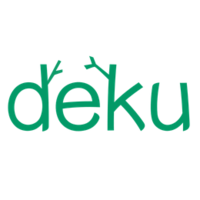 Deku has a smaller footprint (~10kb), a functional API, and doesn't support legacy browsers. Why do developers choose React.js Boilerplate? Why do you like React.js Boilerplate? Why do developers choose Deku? Why do you like Deku? What are the cons of using React.js Boilerplate? What are the cons of using Deku? How much does Deku cost? How much does React.js Boilerplate cost? What companies use React.js Boilerplate? What tools integrate with React.js Boilerplate? What tools integrate with Deku? What are some alternatives to React.js Boilerplate, amCharts, and Deku?